One of Ireland's most sought after and exciting wedding bands. A 4 piece fully live band. Based in Dublin/Meath but will travel nationwide. All tastes and styles of music covered. Choosing the right Wedding Band for your perfect day can be a daunting task! As The Bride and Groom, you ultimately want to be assured that the band you decide on cover all the bases so that your guests are entertained and have an amazing evening. 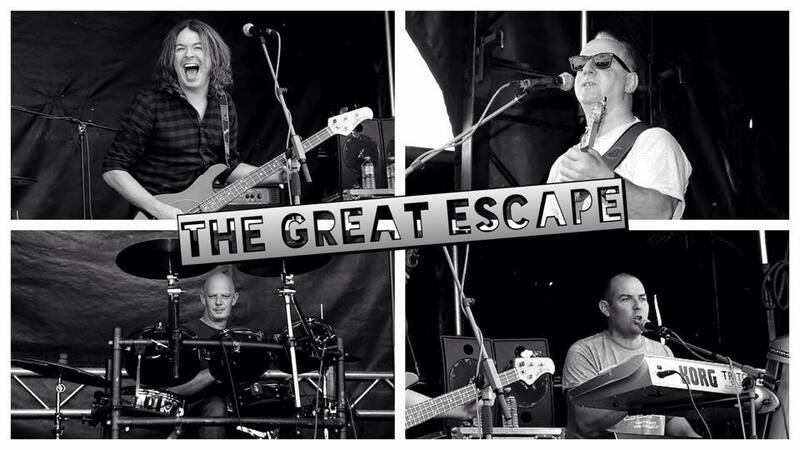 When it comes to putting that trust in a band, look no further than The Great Escape! When a band are together over 19 years, playing countless Weddings and receiving rave reviews from couples and guest alike, they must be doing something right! The Great Escape pride themselves on delivering a show that encompasses all musical genres and most importantly, keeping the dance floor full and the atmosphere electric! With a superb array of musical talent and collective experience within the band, The Great Escape play a wide and varied music program that includes all the classics from the 60’s to present day, Waltzes, Pop , Rock, a little bit of Irish plus all those unforgettable Wedding songs that will have your guests singing along into the small hours!